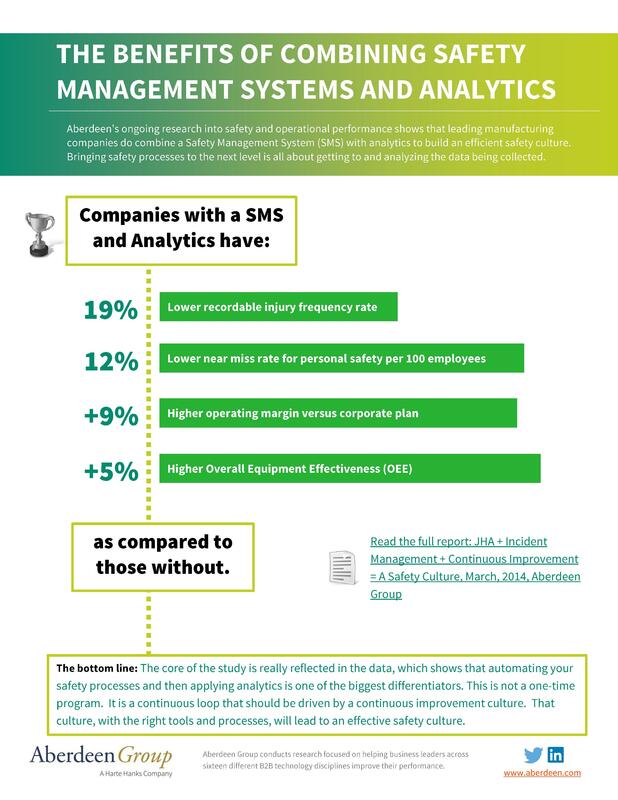 Aberdeen's ongoing research into safety and operational performance shows that leading manufacturing companies do combine a Safety Management System (SMS) with analytics to build an efficient safety culture. Bringing safety processes to the next level is all about getting to and analyzing the data being collected. The bottom line: The core of the study is really reflected in the data, which shows that automating your safety processes and then applying analytics is one of the biggest differentiators. .This is not a one-time program. It is a continuous loop that should be driven by a continuous improvement culture. That culture, with the right tools and processes, will lead to an effective safety culture.